Do you suffer from unresolved negative emotions like anxiety, sadness, feeling of regret & disappointment? Do you find yourself trapped in old patterns of behavior that don’t serve you anymore? Here’s a solution that will give you relief quickly. Rapid Emotional Clearing is a healing method I have developed that uses consciousness and energy healing to quickly release energies and emotions that are tied to negative past events and that still affect you to this day. Through this process, feelings like anger, sadness, regret and disappointment, as well as deeps wounds, can be eliminated very rapidly - often within minutes. Once the emotional and spiritual issues are healed, you will feel more free, happier and are finally able to move on and become the person you are meant to be. Often, physical ailments also heal much more easily because you have released the underlying emotional stress that has contributed to your health challenge. Meeting Dr. Katharina was a blessing for me and the rewards of my sessions with her have altered my life profoundly and with incredible efficiency. She helped me discover and clear deep emotional issues stemming from infancy that had significant and detrimental effects on my perspective on life as well as my relationships. Dr. Katharina's work enabled me to finally achieve calmness, contentment, and peace within myself and liberated me to live my life with joy and gratitude. Her healing was not just a blessing to me but also a blessing to my children and those that I love dearly. 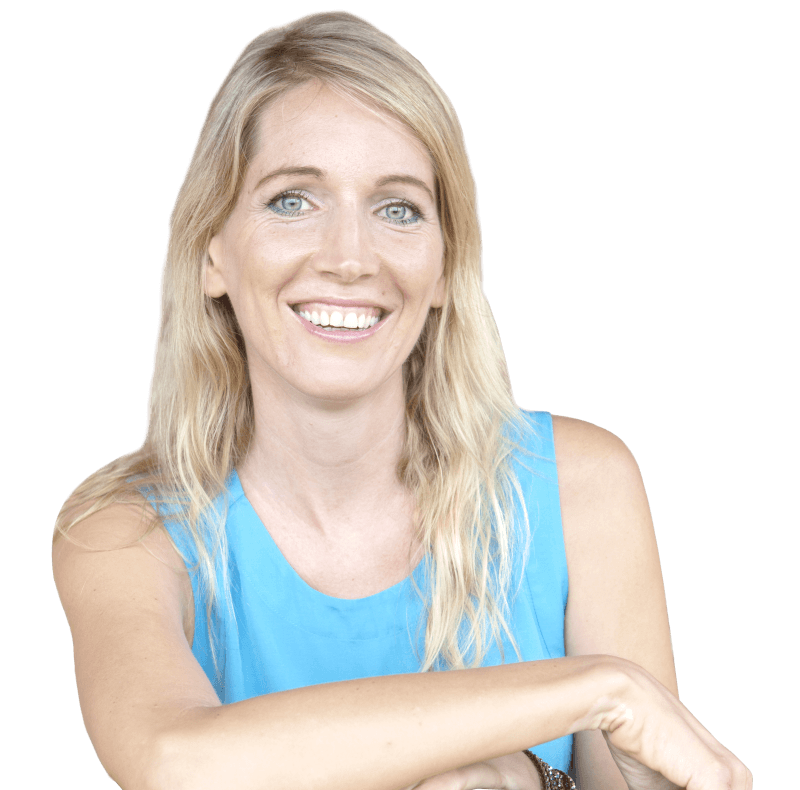 I recommend Dr. Katharina without any reservations and would urge anyone who wants to invest in the health of their body, mind, and soul to consider working with this amazing and gifted lady. With Rapid Emotional Clearing, you can feel better in a very short amount of time. When the energies and therefore the negative emotions are cleared, you will quickly feel “neutral” about the event that just bothered you minutes ago. Emotional triggers that have held for decades are simply no longer there. The results are also immediate and they stick. Amazingly, some clients even forget the issue that just 30 minutes earlier was a huge hindrance to their health and happiness. In a session, I use my intuitive skills to get to the root of the problem and to detect the most important issues that need to be cleared quickly. This will save us time and is the most effective approach because if you remove the earliest emotional trauma, the subsequent traumas that are often related will clear as well. With each emotional clearing, you will also feel more connected to your center, your soul. In this way, you can accelerate your spiritual journey and feel happier and more joyful quickly. When you experience an emotional trauma, wound or upset and you don’t have the capacity to release the energies that are tied to the stressful event, the energies of the trauma with their subsequent negative emotions get stuck in your body. You then find yourself in the same situations repeatedly and react to them with the same old emotions. This is because you unconsciously operate from the old wound - no matter if the stressful experience happened decades ago. It then becomes very hard for you to truly change. When you are faced with an emotional or physical threat, you only have three options to react: You either fight, flight or freeze. Typically, in stressful situations women tend to freeze. This creates problems because unlike in the fight or flight reaction where you use the energy of the emotion to run away or fight, in a freeze situation these energies get stuck in the body. An emotion is an “energy in motion” and when it gets trapped in the body, you start to unconsciously operate from these energies. As a result, you can experience anxiety, depression, suffer from low self-esteem and find yourself in the same negative situation over and over by repeating old patterns of behavior that no longer serve you. This creates huge amounts of stress, through which physical ailments can occur. This is because every negative thought and emotion creates chemical reactions in your body that have a direct impact on your immune system. If these emotions are mostly negative, illness is the result. The good news is that you can free yourself from old wounds and trauma very quickly. This will save you lots of time, frustration and money and you’ll be able to improve your quality of life very rapidly. Often, physical ailments also improve or heal completely. I worked with Katharina because I was emotionally and psychologically stuck all my life. I could never really go to the source of my problem, but Katharina found and cleared this pattern that was torturing me very fast and showed me how to transmute the negative patterns and live a happy life. This is a priceless gift for me. I couldn't be more grateful. Katharina carries the rare of gift of true intuitive insight, her work being close to the miraculous. Over the years I have send her patients, family and friends with difficult health situations, relationship issues and occupational obstacles. Katharina clears the blockages, the outcomes over time being physical healing or graceful transformation of life events. I highly recommend her! A 50 minute call with Katharina, who will help you to quickly clear emotional wounds and trauma. 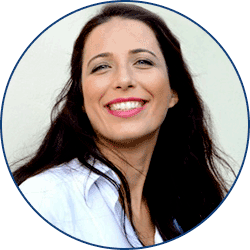 Katharina will use her intuitive skills to scan your energy system to get to the root of the emotional wound as this is the most effective approach. If needed, Katharina will teach you a simple but effective energy based healing technique to further accelerate your healing. An audio recording of your call so that you don’t need to worry to miss anything. A follow up email with support notes. Katharina will call you either via phone or Skype for your appointment. No matter where you are in the world. Experience for yourself how quickly you can feel better! Book a Rapid Emotional Clearing Session! Sorry! My practice is currently full. You can get on the wait list and I will notify you immediately once a slot opens up. In the mean time, I invite you to be a part of one of my online courses, "Awakening Your Inner Healer". This way you can start your healing journey today and learn more about my work. 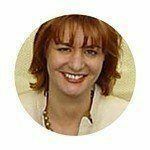 Hi, I’m Katharina and I’m an energy healer, medical intuitive and am also trained as a medical doctor. Through a spiritual awakening experience at the age of 16 years, I realized that we are all connected and, in fact, One. This experience and my desire to help others led me first to study medicine and then spirituality, consciousness and healing. It’s my true desire, mission and purpose to help you release your old wounds in order for you to experience your potential as a human Being. I have been teaching “Rapid Emotional Clearing” successfully in Austria and am happy that I can bring this service to you no matter where you are in the world, so that you can transform quickly and become the person you are meant to be. We first briefly talk about your goal for the session and what you want to release. If you are unsure of what to start with, I will use my intuitive skills to scan your energy system to get to the root of the issue quickly for you to experience the greatest benefit.I will then ask you how you feel about the situation, person or trauma we are working with. We will evaluate the degree of upset within you from zero to ten, with ten being the highest. Then I will ask you to think about something positive or for you to simply relax. I will start the healing process and clear the negative energies associated with the event that are causing you problems today. This typically takes around 10 minutes per event that we are working on. After that, I will ask you how you feel about the situation now. You will rate your degree of upset again and typically people tell me after a clearing that they now feel “removed” from, or “neutral” about the situation, as if it happened a long time ago and does not affect you anymore. Many people tell me that they suddenly feel lighter and more joyful and are surprised by how quickly negative emotions and feelings can clear. It is also not unusual to suddenly get a new perspective of the event and you might even sympathize with the person who did you wrong because you now can see it from their perspective. Once an event is completely cleared, I will scan your energy system again and get an intuitive sense on what to work on next. The result is a very quick transformation. Is Rapid Emotional Clearing Right for You? You consider yourself sensitive and in touch with your emotions and your body. You’re ready to let go of negative emotions from the past and patterns of behavior that affect you today. You want to make a big shift in your life and experience rapid transformation. You want to clear underlying negative emotions that have contributed to a physical health challenge so that your body can heal. You are open to the concept that energy work can quickly help you to release negative emotions. You feel cut off from your emotions and your body. You are living mostly in your head and are skeptical of energy work. Katharina led me with skill, compassion and professionalism through a profound emotional clearing process. In only two sessions, I was able to let go of old ingrained thoughts and beliefs that had been holding me back in some areas of my life for as long as I can remember. I felt safe and in very good hands throughout this transformational process. 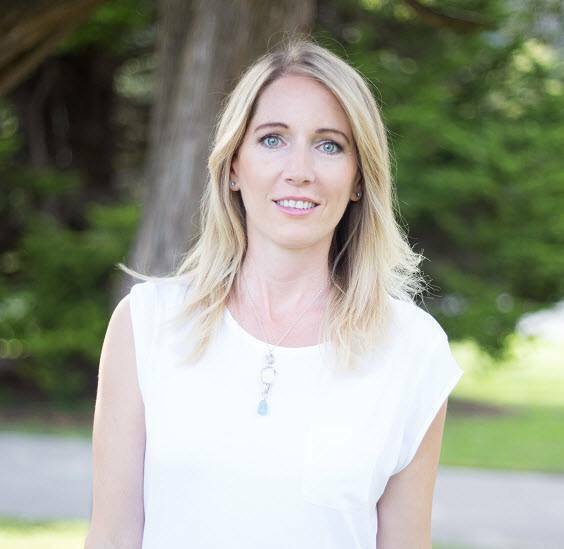 I am recommending Katharina's work to my coaching clients and to anyone who can benefit from this quick and powerful emotional clearing/healing modality. I just can't tell enough how my sessions with Katharina are changing my life. The emotional clearings are so beneficial in so many ways. The calming effects they have on me are so noticeable, and are contributing so much to the rewiring of my brain. Katharina has given me so many tools to aid in this healing process. Ever since working with Katharina, I am doing so much better emotionally and also physically. My rash that I had for many weeks is gone and I am filled with hope for my future. 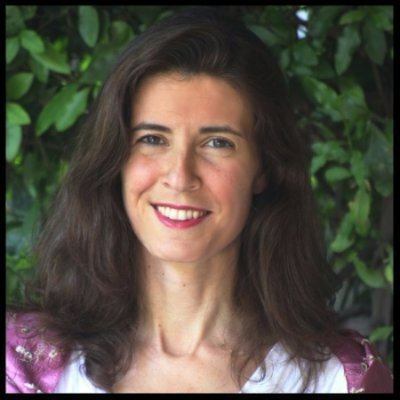 Katharina is a kind, compassionate woman and an incredibly gifted healer. I went to see her for an aura/chakra cleansing and was blown away. She was able to see things in my energy field that I had been feeling and experiencing in my life, but had not shared with her. I can't emphasize enough how truly gifted she is. Katharina sent healing energy to my chakras and over the course of my working with her, I was able to make a big change in my life, one I had been contemplating for years. I wholeheartedly recommend Katharina and would absolutely work with her again in the future. How can a trauma or emotional wound be cleared so quickly? In order for me to answer this question, you need to start thinking in terms of energy. Everything in the living Universe is made up of energy at its very core. You, your body, mind and your emotions are no exception. Depending on the “quality” of these energies, you are either healthy, vibrant and happy, or depressed, anxious and sick. Consciousness is the driving factor behind all energies and is not limited by space and time. In fact, consciousness connects us all and this is the reason I can work with you from anywhere in the world, no matter where you are located. By merging my consciousness with yours and bringing in the energy of the Universe, I can help you change the negative energies in your body that are tied to negative events and emotions into positive and uplifting ones. The result is that you can rapidly feel better. Many people I have worked with are amazed by just how quickly it is possible to feel better. For the logical mind, it does not make sense as it thinks in terms of time and usually the belief is that healing takes time. However, if you think in terms of energy, then it makes perfect sense that you can simply change your frequency and as a result will improve rapidly. Once the event is cleared, will it come back? From my experience, when we clear a negative event with the subsequent emotions, it tends not to come back and the healing is permanent. However, sometimes it’s necessary to separately clear certain “aspects” of an event. For example, if you grew up with a distant and critical father and you now suffer from low self-esteem, then it is also necessary to separately clear any additional memories that are related to you feeling like you’re never good enough. When we do, you can step into your power and finally feel confident and good about yourself. How quickly will I feel better? ​This depends on several factors. If you are a good candidate for this healing method and you fit the criteria above (Who this is for), then events and negative feelings tend to clear very quickly. This means that you will typically notice a considerable shift in your emotions after only one session. Of course, it also depends on how complex the issue is you are working and how open you are to the process. I can’t remember exactly what has happened in the past and don’t know what I need to clear. Can I still benefit from this process?? Yes, you can. Let’s say you want to work on setting appropriate boundaries in order for you to be able to take better care of yourself and your needs, but you have no idea where this pattern of behavior stems from. In such a case, I will take an intuitive look into your energy system and will be able to trace back the events that happened for you to develop this pattern. This means that you don’t need to know exactly why you have a certain issue and what exactly has happened in order for me to be able to help you. Do I have to believe in this process for it to work? No, you don’t. All it takes for you is to be open to the experience and the possibility that you can feel better quickly. Do I have to see you in person in order to work with you? No. In fact, I do all my session long distance via Skype or phone, no matter where you are in the world. Doing intuitive healing work for over 10 years, I have found that my intuition is much stronger if we are not in the same room. This is possibly due to me not being distracted and thus being able to fully focus on your energy. You can pay via Paypal or credit card. During the check out, Paypal gives you the option to use your Paypal account or your credit card. Just click on “Pay with a debit or credit card” if you want to use this option. For the logical mind, distant healing makes no sense and I totally get. The rational part in me that was trained as a medical doctor doesn’t understand it. However, for someone who had a deep spiritual awakening as a teenager and understands that we are all connected and are one, it makes perfect sense. Interestingly, the research that has been done on this topic confirms that in healing, time and distance doesn’t play a role because consciousness, which is the driving factor behind the healing, is “non-local.” You can learn more about the research that has been done here. “Clearing” means that the energy of the upsetting event or emotion we are working with is gone. Of course, we can’t change what has happened in the past, but we can change how you feel about the event right now, in the present moment. When the energies are cleared, the upsetting emotions disappear as well. Please notice that I do have a 48-hour cancellation policy. In case you have to re-schedule or cancel a session, please let me know 48 hours in advance to avoid any costs. Sessions that are canceled without 48 hours’ notice will be charged the full amount. Sessions that are canceled due to a medical emergency are excepted. All services are non-refundable. You acknowledge that you are aware that in the consultations and Rapid Emotional Clearing Sessions, you will not receive medical diagnosis, treatment or prescription and that Katharina Johnson does NOT act as a primary care physician or mental health professional. For legal reasons, no medical claims are made as to the efficacy of these sessions. By purchasing a session or package you agree to these terms. Thank you for your cooperation and I am looking forward to working with you! Please enter your name and email address so that I can notify you when a spot opens up again! Yes! Put me on the wait list!